This will be Brooky's fourth season of competing in Thundersport GB, considered a proving ground for British Superbikes and the prestigious GP circuit, and he's hoping to build on his impressive overall 4th place finishin 2015 as he takes to the track at Brands Hatch next weekend (March 5th/6th) for the opening salvo with his Kawasaki ZX10. Refreshingly honest and candid, Brooky is his own worst critic as he explained: "I made progress last year and moved up the rankings but I didn't progress as much as I'd have hoped. That was down to the bike and my own decision making at times. It's an incredibly fast learning curve and there can be no room for error! I considered moving up to the British Superbikes level but have opted for another go at Thundersport GB. It's getting ever more competitive and the grid is filling up with some very talented riders so I'll have to be on my mettle. Last year was a mixed bag. I achieved some great results but there were just as many disappointments along the way. You really have to push it at this level but it's all about managing risk as each race plays out. Over the winter I've been out to Spain to test the bike which has been modified with recalibrated electronics. It's a vital adjustment and gives me more trust in the bike's capabilities. I've also had far more involvement from RFS Engineering based next door to my unit on Thornton Road Industrial Estate. They have played a big part in getting the bike up to scratch and I can confidently say it's fit for purpose. We couldn't achieve anything without sponsorship and that's why the support of Arkoni, RFS and other backers is so critical. I'm delighted that fire-rated glazing specialists Arkoni Metalwork are backing me again." 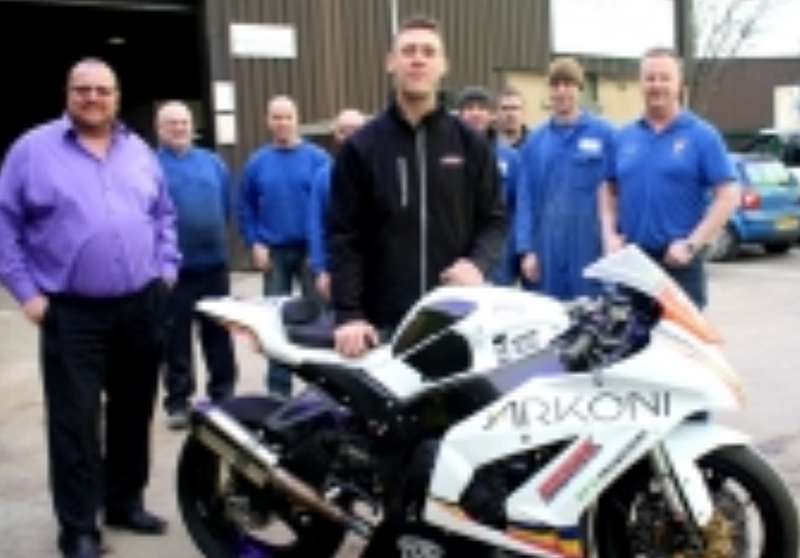 Mark Prentice, MD of Arkoni, commented: "Brooky and Team Arkoni have made some great progress over the last 3 years. We've followed him around the country and we're only too pleased to continue our support." "I'm raring to go and more motivated than ever. Brands Hatch cannot come along soon enough!" concluded Brooky.